Max writes on the types of narratives in board games, the value of story-rich games, and ways to design games with stronger fictions. How can our games go beyond the traditionally "themed" game, and onto having immersive narratives? 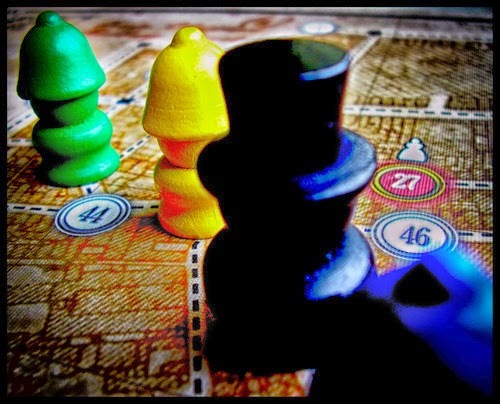 Ever since Mancala, Go, and Chess, board games have usually put low emphasis on absorbing the player in their narratives (unlike modern video games). Over time, game designers have begun to realize the power of featuring narrative more prominently, whether using theme to explain rules, or immersing players in the narrative experience. Today I will cover the levels of fiction board games can employ, how to design games with stronger narratives, and the role of narratives in games in general. What Kinds of Board Game Narratives Are Out There? 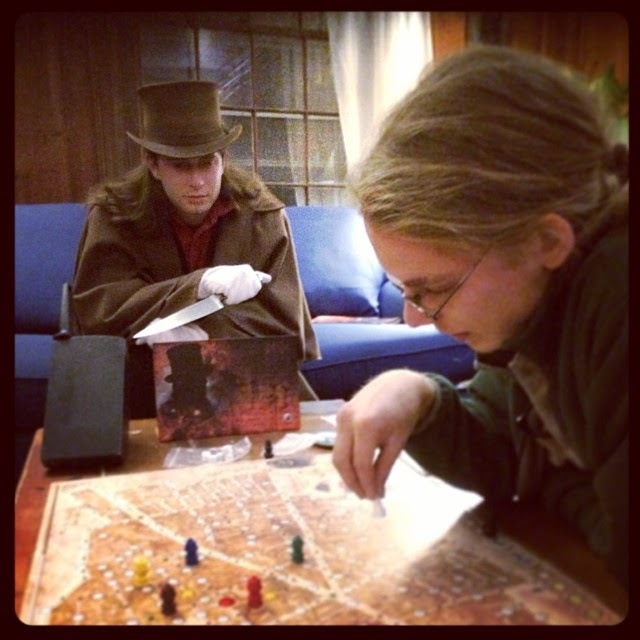 Board game fictions exist on a spectrum of narrative depth. At the far end of the spectrum are "story-rich" games, games that transport the player deeply into their narratives. Some examples of these games are Letters from Whitechapel, Android: Netrunner, Pandemic, Love Letter, Betrayal at the House on the Hill, and Space Alert. In the middle of the spectrum are games that simply have theme. They have some sort of narrative built into the game space to explain the players' actions, but the fiction ends there, and fails to help players feel the roles they are inhabiting. 7 Wonders, Race for the Galaxy, and Bohnanza are some good examples of themed games. Abstract games eschew theme almost altogether, focusing on almost nothing but mechanics, but could conceivably allow the players to come up with their own theme. These games sometimes make passing reference to themes, but fail to explain (either through text or through mechanics) how the theme fits the gameplay. Games like Uno and Checkers fall into this category. Finally, at the left end of the spectrum lies a category that is often overlooked: fictionless games. Fictionless games have no possible narrative explanation, and the players are constantly aware that their are simply playing a game. Party games tend to fall into this category: Pictionary, Dixxit, Cards Against Humanity. By far the most important element of transporting players into a board game's story is having the core mechanical framework map to an engaging real-world situation that is explained by the narrative. Letters From Whitechapel stands out here, because the mechanics that govern the game cause Jack the Ripper to feel hunted. The constables, often quite literally, feel as if they are closing in on Jack, trapping him in a net. Both of these feelings arise out of the very simple core mechanics of the game: Jack is invisible, constables can see where Jack has been through investigation, Jack can't move through the constables, and Jack must always return to the same home base. Note how each of these mechanics makes sense in the story being told, but when put together are greater than the sum of their parts and lead to the immersion. 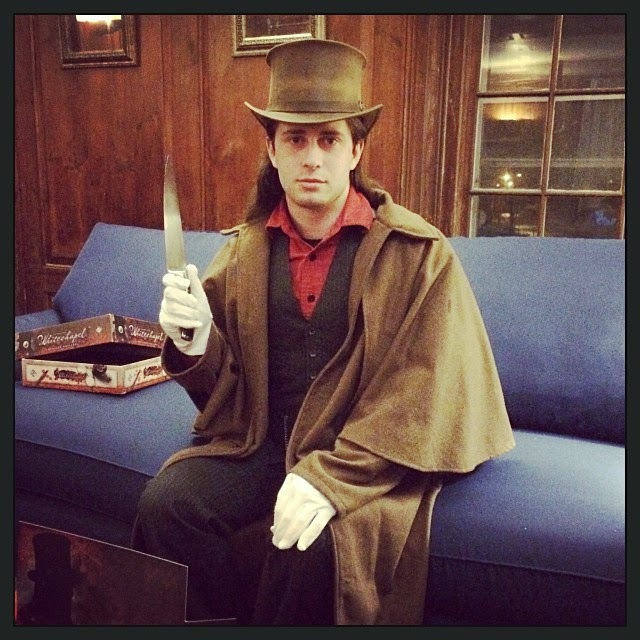 It's possible I get a little too immersed in Whitechapel. Android: Netrunner and Love Letter are different from Whitechapel in that they are exception-based games. Both of these games have engaging narratives, but these stories don't primarily arise from the exceptions on the cards. Instead, the narratives are strong because of the core framework of the games. In Netrunner, the corporation wants to set as many schemes in motion as possible, but defend them all. The hacker does her best to amass tools to suss out and break through vulnerable defenses. This core framework makes each player feel like her role. In Love Letter, the player is a suitor trying to get a love letter into the hands of the princess. The fiction comes from the mechanic that your love letter is incrementally handed off to palace staff closer and closer to the princess. Each turn the player has two palace staff in hand, and plays one of them to thwart her opponents, while the love letter stays in the possession of the character in her hand. While each character has an exception-based ability to catch your opponents' love letters, the game's immersion comes from its core structure. Who are you? This role can change, but the players must understand who they are in order to be immersed in a story. As with most points on this list, Letters from Whitechapel does a stellar job of telling the players who they are. In fact, each player's character is given a specific name, even though the police don't need them. While character names aren't necessary, roles are. Are you a criminal, as in Whitechapel? Are you a CEO (most financial games)? Are you a doctor (Operation)? Many games fall into the trap of positing the player as not a single person, but a group or entity. While I find 7 Wonders fairly engaging, the player plays an entire civilization, and I find that this role stands in the way of story engagement. Pop quiz: why would you use pawns instead of simple disks? Components can help the players remember the actors whom they are roleplaying. As always, Whitechapel does a great job of this, by providing custom molded pawns: a black silhouette with a top hat for Jack, and colored pawns with constable helmets for the cops. Narrative-reinforcing art also plays a large role. 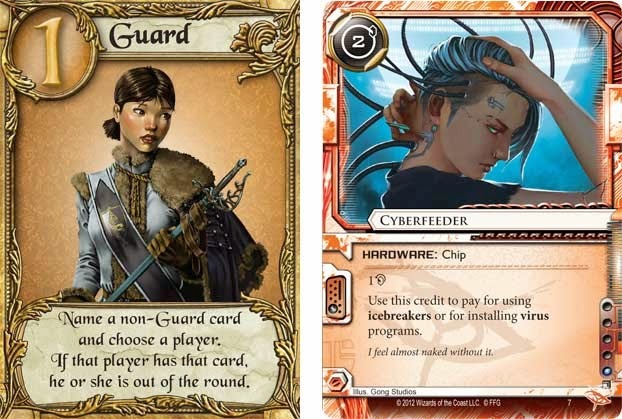 I find the characters in Love Letter and Netrunner compelling examples. While this could be specific to me, I find illustrations that are too detailed lower my immersion - namely Magic card illustrations, and the character sheets in Arkham Horror distract me from the story that is trying to be told. In each of these cases the full stand-alone nature of the art (while great for box art to communicate the kind of story being told in the game) is too much for individual components, and draw the eye away from the key elements: the character, or whatever is being represented by the card. Love Letter and Netrunner cards (especially the character cards) have clean and focused art that enhances the narrative. Spatial mechanics are a super easy way to construct a high-fidelity core model. This is kind of cheating, because this technically belongs under number one in this list, but spatiality is important and useful enough that it deserves its own bullet. Everyone understands how moving from place to place works, so spatial metaphors can provide players with a jumping-off point for understanding the metaphor of the game. There is a good way and a bad way to do spatial games, however. Just being spatial isn't enough. Unrealistic spatiality, especially in board games, is an extremely easy way to make it harder for players to identify with the fiction of your game. Monopoly is a great example of what not to do — the money gathering and engine building mechanics of Monopoly are a surprisingly engaging and make me feel like a wealthy (and extortive) landlord. The spatial component of Monopoly, however, kills the game's story, simply because cities and moving don't work like that. The lesson from this example is to make your space represent real space; in Whitechapel, the board is a map of the Whitechapel district of London. In Space Alert, the board is a space ship with different rooms. In Pandemic, players play on a map of the world. All of these spaces are clear, concrete, and well modeled, which add to the game's narrative immersion. While a game's story cannot exist solely in its text (instructions, location names, etc. ), including written narratives in the rulebook can help, when well-executed. Space Alert and Love Letter do a great job of this, both using the rulebook to explain rules that would remain fairly opaque if left abstract (actual rules explanation from Space Alert: players must continually return to the bridge and move the computer's mouse to keep it from falling asleep). Love Letter particularly takes space in its instructions to carefully explain why the mechanics on each character's card make sense in the metaphor of the game (disclaimer: it's possible that I enjoy this kind of metaphor explanation more than most people). Terminology can also be a powerful way to explain mechanics. Magic's system of attaching single "keywords" to new mechanics exemplifies this approach. Instead of simply explaining what a new mechanic does, the Magic design team also works to give repeated mechanics flavor by attaching a (mechanically unnecessary) name to them. Instead of saying "This creature can't be blocked by other creatures who don't have this ability," Magic calls this ability "Flying." Instead of saying "When you play this creature an opponent chooses to either give it positive effect A or positive effect B," the designers chose to preface the ability with the word "Tribute," thus immediately and succinctly explaining what the ability means in the game narrative. As we've already mentioned on Most Dangerous Game Design, a well-applied theme can serve as a conceptual model to help players learn a game. But narrative can be more than that, as anyone who has ever read a friggin' book knows. Narrative can be a powerful tool for immersing players in a game experience. Not all games want to deeply engage their players. That said, games that are trying to be engaging experiences stand to benefit a lot from being story-rich. While the importance of story definitely differs from player to player, narrative has the potential to transport players further into the world the game is crafting and make time fly. Whenever possible, then, designers who are attempting to craft deep, engaging experiences should strive to create immersive narratives in their games. Have you seen this old article on Narrative Arc? It refers to Ludological narrative more than story, but it's a seminal article worth noting. Thanks for sharing that! I had not read it. While I totally agree that mechanical tipping points and shifting gears can make for better gameplay, I think Degann is misleading when he calls this 'narrative arc.' I've not played all of his examples, but I don't think that gear shifting necessarily leads to more immersive narratives, unless the metaphor for the game is already strong, and the metaphor for the gear shifting is ALSO very strong. Dominion, for example, shifts gears quite a bit without strengthening the narrative much. I'm currently designing a game in which the players are exploring an area, and I really want them to feel immersed in the game's setting. I've created a set of characters that gives each player a minor special ability. Right now they only have descriptors, like "Big Game Hunter" and "Gallant Captain", and it's been suggested that it would be more engaging to give them actual names instead. My concern is that by adding more details to the characters, I risk forcing the players to conform to those details rather than feeling free to play as they wish (rather like playing a pre-gen character for an RPG session rather than making your own). What do you think? Android: Netrunner has bare sketches of characters, with just enough flavor to give you an idea of who they are supposed to be, but without enough flavor to tell you how to act or feel. This is what everyone else should aspire to. Betrayal at the House on the Hill tries to be Netrunner, but fails for some reason. I don't know exactly what it is, but I feel it has simultaneously too much and too little characterization. Arkham Horror fully characterizes its characters, with full stories and large, detailed art. I find these characters somewhat engaging, but not as compelling as Netrunner. Forbidden Island is an example of characters that are TOO spartan, with only a single symbol to characterize them. Finally, a particularly illustrative game for your problem may be Letters From Whitechapel. I always feel very engaged with the characters, which comes from my (rather minimal) knowledge of the historical context, and the pawns. While Whitechapel includes names and portraits for each of the constables, I feel like this overdoes it. In the end, this is more an art than a science, but if you think you can get the balance right, I would go for a Netrunner or Whitechapel style simplicity over a Arkham Horror style full characterization. One last note: part of the reason Netrunner and Whitechapel work so well is because both of them have REALLY strong and unusual metaphors, that help pull the player into character. I find the moving and fighting of Arkham Horror at once too intricate (and exception based) and rote to be a strong enough metaphor to pull me into character. I haven't played Netrunner or Whitechapel, but I agree with your assessment of the others. Thanks for the input! 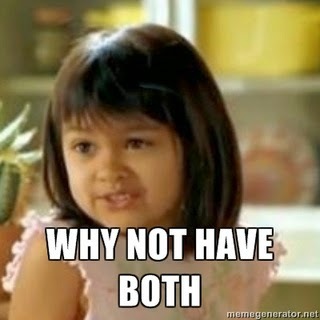 Hmm, I think it's interesting that you consider Pandemic strongly themed. It seems to me like the game mechanics would function equally well, for say, stopping an alien invasion with only some name changes required. Treating cubes becomes fighting alien troops, outbreaks are aliens attacking from their landing sites, epidemics are new landings, and curing the diseases with your cards is instead assembling a mcguffin to blow up one of the alien motherships. Boom, you now have an Independence Day type game instead of one about diseases. And similarly, there are commercial games that borrow heavily from Pandemic mechanics with new themes, like Defenders of the Realm or Flashpoint. Yeah, the actions in Pandemic make sense in the context of doctors running around. But they're also very general mechanics that can easily be mapped to other scenarios. If a theme is trivially changed, the game is probably not heavily themed IMO, even if the actions make sense in the context of the theme. A strong theme is both appropriate and specific. Pandemic's rules aren't about doctors, diseases, and health care. They're about balancing actions containing a threat with ultimately stopping it. OTOH, say Terra Mystica, criticized for a weak theme - because its scoring stuff is kind of capricious - is still pretty specific. A lot of the mechanics are pretty wound up with the whole terraforming idea. But I started playing RPGs and Battletech well before modern boardgames, so my standards for highly themed are probably much strict than many gamers. I'm not sure I really buy the whole "If a theme is trivially changed, the game is probably not heavily themed IMO, even if the actions make sense in the context of the theme." concept - I see no reason why I couldn't be drawn into a narrative just because another narrative also fits the same actions. In the end I guess it really comes down to "do you feel the theme" which is very subjective, and may work for me but not for you.